Check out UNIQLO's 3-day SALE happening now until October 15, 2017 at UNiQLO Stores in SM Megamall, SM City Seaside Cebu, SM City Davao, SM Cabanatuan, SM CDO Downtown Premier, Robinsons Place Manila, and Estancia Mall Capitol Commons! 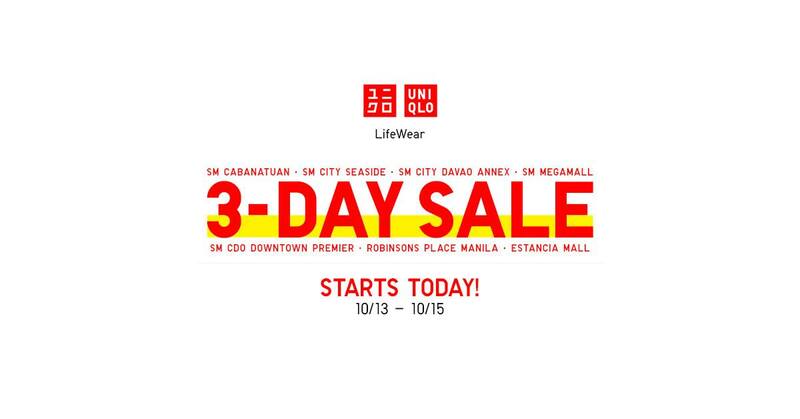 Get exclusive deals and discounts on selected items! 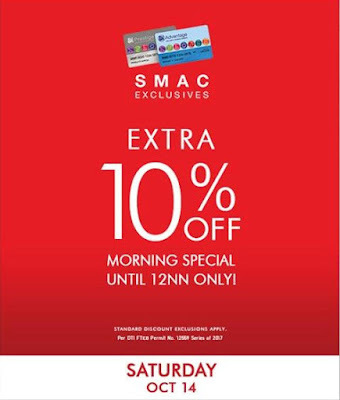 SM Advantage, SM Prestige, and BDO Rewards cardholders get additional 10% off during the SMAC Morning Special on Saturday October 14 from store opening til 12nn.